Test your sleuthing abilities here! 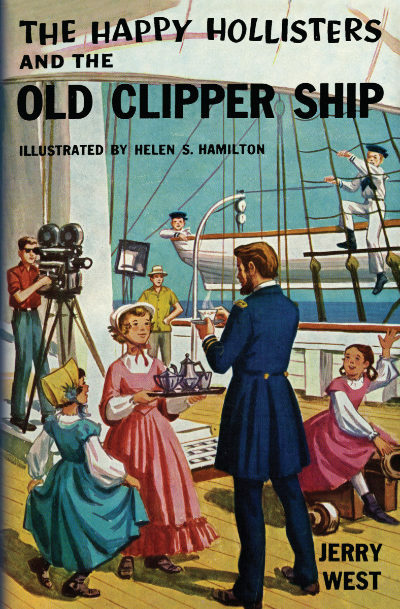 Do you see the “Bobbsey Twins” error in The Happy Hollisters and the Old Clipper Ship? Observant readers may have noticed an unusual error in The Happy Hollisters and the Old Clipper Ship by Jerry West. On page 156 of the original hardcover book, Pam is mistakenly called “Nan.” It’s an odd little error, to be sure, but if you are a fan of children’s series books, it may have brought to mind Nan Bobbsey, a character from The Bobbsey Twins by Laura Lee Hope. It’s not a coincidence. Author Andrew Svenson wrote more than 80 stories for children. You may know him as “Jerry West,” author of The Happy Hollisters, but he also outlined, edited, or wrote several volumes in the Bobbsey Twins series, one of the longest-running series books for children. The Bobbsey Twins series, featuring two sets of fraternal twins (Nan and Bert, Freddie and Flossie), was a creation of writer and publisher Edward Stratemeyer (1862-1930). He wrote the first volume, then assigned the writing to a variety of ghostwriters, all using the pseudonym “Laura Lee Hope.” Up until the mid-1930s, most of the volumes were written by Howard Garis, who also wrote the Uncle Wiggily stories. After Edward Stratemeyer’s death, his daughters, Harriet S. Adams and Edna Squier, assumed operation of his book packaging company and wrote some of the Bobbsey books themselves. Howard Garis returned to write an additional Bobbsey volume in 1948. At that time, he was a reporter for the Newark Evening News, where he met an aspiring writer named Andrew Svenson working on the Sports Desk. Garis suggested that Svenson, with a growing young family, might enjoy writing children’s books. He introduced Harriet Stratemeyer to Svenson, who was then hired as a staff writer and editor. His earliest assignments included creating the Mel Martin baseball series and developing plots and outlines for the Bobbsey Twins series. In 1950, Svenson wrote his first volume, The Bobbsey Twins in Rainbow Valley, likely based on an outline provided by Harriet. He then designed the plot for The Bobbsey Twins Own Little Railroad, which was written by Harriet. Svenson continued to write the Bobbsey Twins volumes published between 1956 and 1958. The Bobbsey Twins were assigned to a variety of other contracted ghostwriters when Svenson was made a partner in the Stratemeyer Syndicate and ran the Boys’ Series Division, overseeing the production of the Hardy Boys and Tom Swift, Jr. books, among others. In 1953, he started writing The Happy Hollisters series inspired by the adventures of his own family, which now included 6 children. 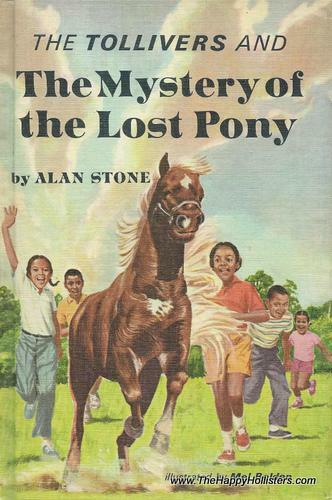 Svenson also wrote, in the late 1960s, the first mystery/adventure series for African-American children, The Tollivers. 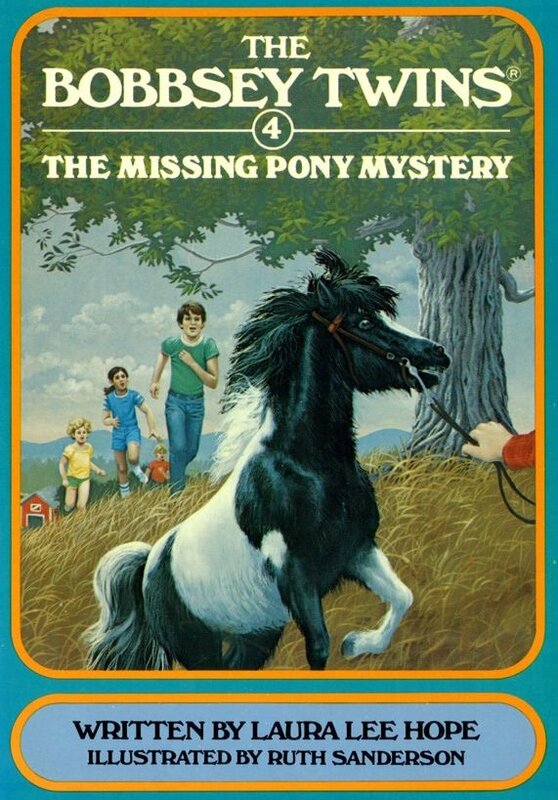 The three volumes in this series were eventually rewritten in the 1980s as Bobbsey Twins books: The Secret in the Pirate’s Cave; The Dune Buggy Mystery; and The Missing Pony Mystery. 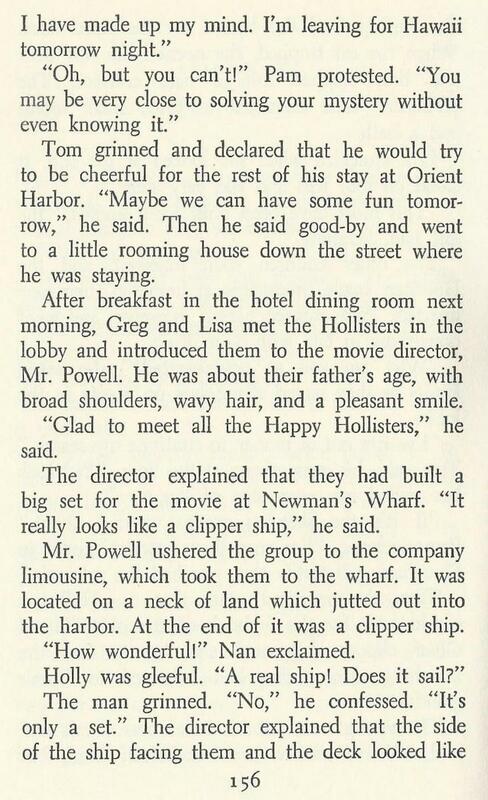 Any busy parent who mixes up their own children’s names can understand how the name “Nan” could have been mistakenly added to The Happy Hollisters and the Old Clipper Ship, which was published in 1956—at the height of Svenson’s involvement with the Bobbsey Twins. With a large family of his own and working on so many different series books at once, there must have been a lot of names floating around in Svenson’s head! He often used a dictating machine to record his stories and may have said the wrong name on the recording, or the typist may have misheard the name. Although we have no notations in our files about the error being corrected, it may have been changed at some point. We have made the correction in the reissued paperback and digital versions of The Happy Hollisters and the Old Clipper Ship, but if you have a copy of the hardcover, please take a look at page 156 and let us know if your copy has been revised!